How much has changed in 2 years or 200 years? Since this morning, Michael Brown has been on my mind. As has Langston Hughes’ poignant poem Kids Who Die. Brown was 18 years old when he was shot and killed by a police officer. That was two years ago. So much has changed since then, yet so much remains the same. But one thing is indisputable – Michael Brown’s black life mattered, then and still today. 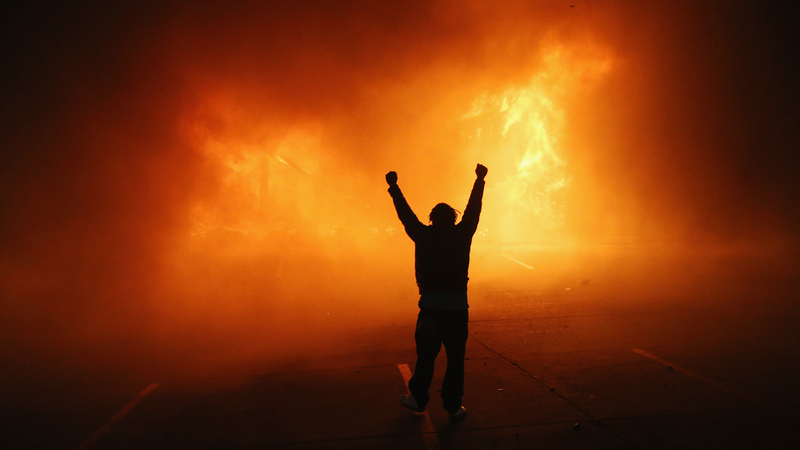 Ferguson, Missouri, is not the same suburb it was when the shooting took place. Due in large part to fierce protests, community pressure and aggressive intervention from the U.S. Department of Justice, a consent decree is in place to create a more diverse, properly trained and accountable police force. There are also strong efforts to change the city code to make sure that residents are no longer jailed for failing to pay fines. Ferguson, like so many small towns, was reaping windfalls for their coffers by charging (mostly black) residents exorbitant fines for minor infractions, then jailing them when they could not pay. Wish that we could say that no other young black lives were needlessly lost after Michael Brown’s death – that his death once and for all woke up the consciousness of the nation and led to systemic police reform in every police department in the country. If only we could affirm that Ferguson is not the only place that changed over the last two years – that racial bias was well on its way to being eliminated from policing nationwide, and that community policing was the model being embraced and adopted nationwide. Yet a trail of other bodies have followed since that tragic day in August 2014, the result of additional killings of young black men by the police. Some names we know well: Tamir Rice. Freddie Gray. Christian Taylor. Others are less known to us: Keith Childress. Jamar Clark. Albert Davis. In all, 175 young black lives were lost in 2015 to gun violence at the hands of police. The grim tally this year so far is at 65. A demonstrator celebrates as a business burns after it was set on fire during rioting following the grand jury announcement in the Michael Brown case on Nov. 24, 2014, in Ferguson, Missouri. Here are the facts. Unarmed African-Americans are five times as likely to be shot and killed by a law enforcement officer as unarmed whites. Last year, unarmed African-American men made up an estimated 40 percent of all of the police killings of unarmed people, yet they comprise just 6 percent of the nation’s population. And when it comes to accountability for these shootings, the numbers are abysmally low: Only 10 percent of the overall number of cases of unarmed African-American men killed by police resulted in charges being brought against the officer. When will it end? What will it take for this violence to end? How many more grieving mothers – and dead children – will we cry over? How can we move the growing national debate on police violence and the killings of African-Americans by law enforcement into actionable reforms that will stop these killings once and for all? Despite the lack of tangible and swift progress that many of us aspire to, the country has seen some radical change since that fateful day in August. Michael Brown’s death spurred a new generation of young activists to organize and raise their voices. The resulting movement is Black Lives Matter and other organizing efforts, where young people are leading protests and putting their bodies on the line to demand more police accountability and an end to these killings. Citizens from all walks of life have joined these protests, reigniting the fervor and the belief that change happens when good citizens step up to act. And the grieving mothers – of Michael Brown, Trayvon Martin and Tamir Rice to name a few – have left indelible marks, as they work to translate their pain and their loss into something meaningful in the memory of their children.